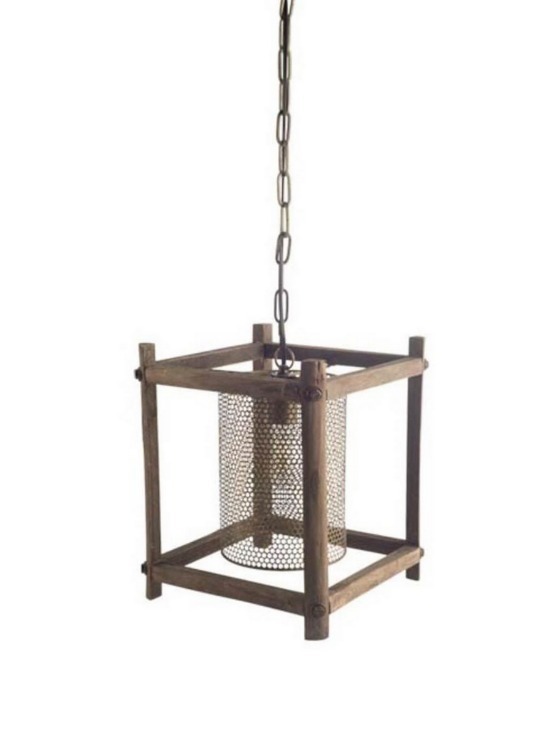 The Keppler series of chandeliers are made with wooden frame with real bolt head accents, a cylindrical metal mesh light shade with an antiqued bronze finish and a 40″ cord and chain to connect to the ceiling. Uses an E26 standard bulb (sold separately). 40 watts.